Home » Who’s Heading or the Premier League Trapdoor in 2017/18? 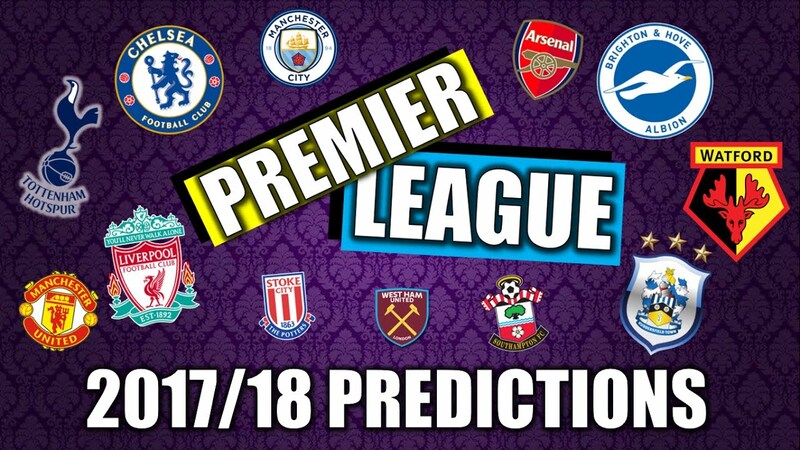 Who’s Heading or the Premier League Trapdoor in 2017/18? That’s the thing with the Promised Land: once you’ve had a glimpse, it becomes very hard to leave it behind. The number men suggest the difference between playing in the Premier League and the Championship is approximately £100 million when you factor in TV revenue, sponsorship cash and prize money, so while the romance of playing in the English top flight is alluring enough, it is the financial bottom-line that is most seductive. So no wonder those involved in the relegation battle fight like lions to avoid the dreaded drop, and no doubt the 2017/18 campaign will serve up yet another rollercoaster ride at the wrong end of the table. If money does talk then you might surmise that the three teams that get promoted from the Championship will almost certainly face the drop 12 months later, but that is not the case. In each of the last ten Premier League seasons at least one of the promoted sides have survived, and in 70% of those two or more have defied demotion. So when looking at the Premier League relegation betting market, don’t be suckered into blindly backing the promoted outfits. The stats suggest that would be a foolhardy move. So where does the best value lie for the forthcoming campaign? The Terriers needed the play-offs to confirm their ascent to the top flight, and while few would argue with the eye-catching style they deployed last term, the fact they lost 15 of their 46 matches is something of a worry for manager David Wagner and his team. He’s been busy in the transfer window, bringing in two strikers in Laurent Depoitre, who could barely get a game at Porto, and Steve Mounie, who notched 14 goals in 35 Ligue 1 appearances for Montpellier last term. Perhaps the best bit of business that Wagner has done is bringing back Aaron Mooy, Elias Kachunga and Kasey Palmer; three key cogs in their promotion-winning machine. But there is a distinct lack of Premier League experience in this squad, and while that doesn’t have to spell disaster – Burnley were a bit naïve as far as top-flight football is concerned – it is important to note that the Clarets’ home form was a freak occurrence unlikely to be matched by any of the promoted sides this term. Of Newcastle, Brighton and Huddersfield, it is the latter that look most vulnerable. If we all agree that Burnley’s form at Turf Moor last season was an anomaly that is unlikely to be repeated this term, then Sean Dyche’s side must also be vulnerable to the drop. They earned 40 points on home soil in 2016/17 – just one less than Manchester United and seven fewer than Man City, and their away form (W1 D4 L14) speaks volumes of a side destined for another hard campaign. They only lost two games at home between August and March and yet finished just six points clear of the relegation zone. Assuming they regress to the mean in 2017/18, they are in dire straits. The loss of Michael Keane and George Boyd certainly won’t help, while Jon Walters, Jack Cork and Phil Bardsley are all solid campaigners but not signings to get the Turf Moor faithful on their feet. Unless they can produce another statistical miracle, Burnley are in big trouble. The history books tell us that at least one of the promoted sides is likely to survive, and Brighton – in their first ever Premier League campaign – will be hoping it is them. The Seagulls will need to replicate their excellent home form of last season (W17 D3 L3), and who knows maybe they an ‘do a Burnley’ and claim the requisite number of points to stay up on home soil alone. The good news is that they have managed to keep the bulk of their successful squad together, and added to it with a sprinkling of new signings that cost a combined £11 million. Large transfer fees don’t always guarantee quality players of course, but by keeping the purse-strings tight are Brighton sub-consciously preparing for the worst? It’s a bit of as surprise to see Watford dismissed so readily by the pundits, in truth. Sure, they ended last season with six straight defeats, but they were never in any real danger of going down and for three-quarters of the campaign occupied mid table. Factor in a comfortable thirteenth place finish in 2015/16, and a new manager in Marco Silva who worked a minor miracle at Hull last term, and there’s no reason to suggest the Hornets are in any danger. Last season was one to forget for the Swans, but they showed plenty of heart in the second half of the campaign (W9 D2 L8). Paul Clement came in and was a breath of fresh air for the Welsh club, and if they can build on their decent 2017 to date they should be fine. Keeping hold of Gylfi Sigurdsson – or replacing him adequately – could be the difference between a comfortable campaign and another flirtation with demotion mind you. The bookies seem to be surprisingly coy on Newcastle’s chances of going down. The last time they were in the Premier League they were hopeless, and while Rafa Benitez has ruddered what was a previously sinking ship their playing squad does appear alarmingly short of quality - a situation that got them into a pickle in the first place. We’ve written that at least one of the promoted sides will stay up, and in truth it’s not that easy to make a case for any of them! If Benitez departs prior to Christmas – and rumours of fall-outs with owner Mike Ashley are rife – it could be yet another disastrous top-flight campaign for the Magpies. They’ve got one of the most passionate fanbases in the country, but unfortunately that’s rarely enough to ensure success on the field.